I have tried knitting several times. I have so far only finished one project and that is the scarf that I knitted for Shaun and finally finished in January last year. 1 The needles are too long! I am used to crocheting, so having two needles sticking out on each side of me is just not my cup of tea. They get stuck on everything they can get stuck on! 2 My tension is waaaay to tight. I think I have the solution to my first issue. 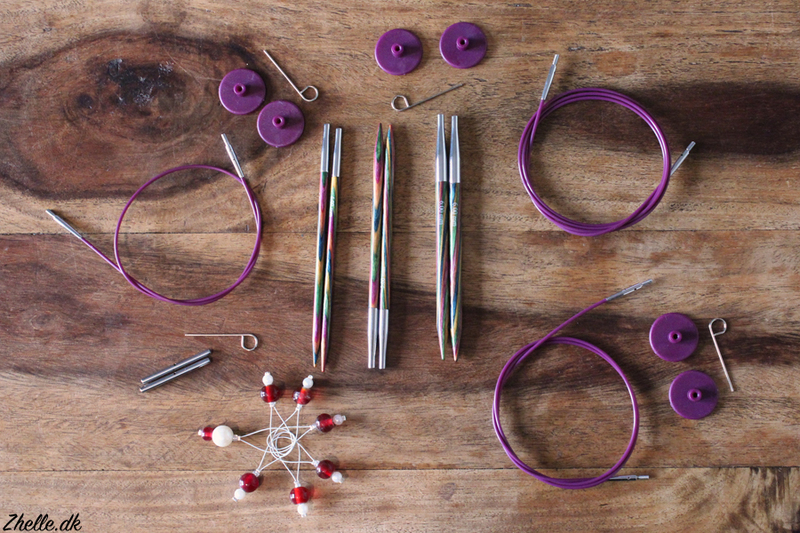 I ordered a KnitPro Symfonie Wood Interchangeable Starter Set 4-6 mm from Rito.dk that they had on offer. I am of the conviction that good tools make the work easier, and I have heard good things about these needles. I have also heard good things about circular needles in general, and that they aren't waving about everywhere can only be a good thing! I also got some stitch markers. I am not sure if they need to be used on my next project, but I figured that I'd better be safe than sorry :) And they are so pretty, so I couldn't resist. 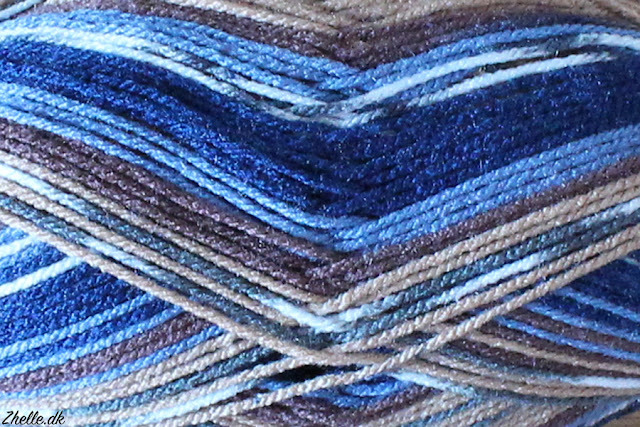 Kathryn Senior from Crafternoon Treats said in a podcast that the Linus shawl is a very good beginner project, when you want to venture into the world of knitting. 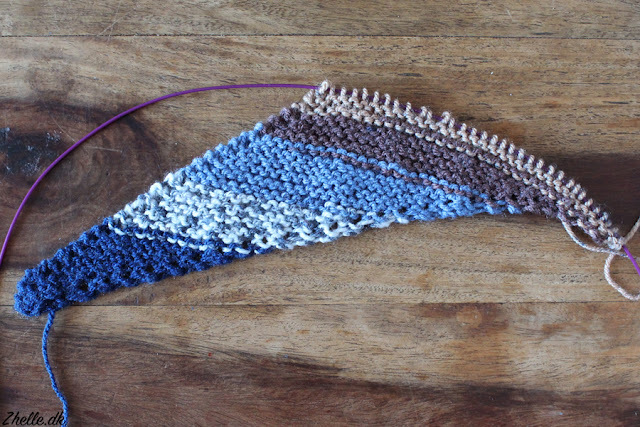 It is a garter stitch shawl and the pattern is free! 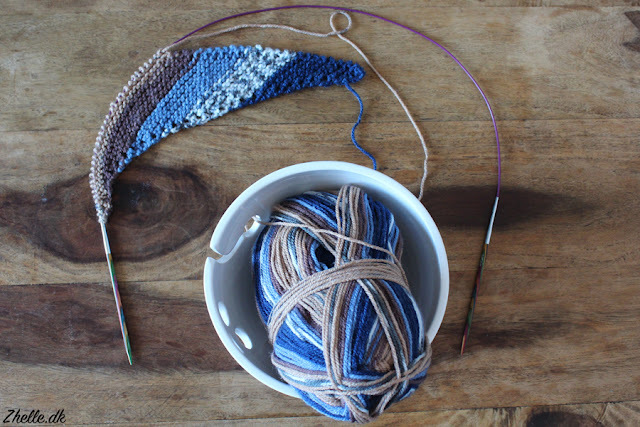 There are simple in- and decreases and otherwise it's just knit stitch the whole way. My challenge will, aside from the actual knitting, be to read an English knit pattern. I can read crochet patterns in UK, US and DK terms, but knit patterns? Never tried it. I have found a few good sources to help me I hope. But we'll see how helpful they are when I actually start! I decided to use Stylecraft Special Effects DK in the colour way Foxtrot. It is the same yarn that Kathryn used, and I fell in love with the way it worked up in the shawl. So I had to have it! Now when I have the knitting needles, the yarn and time before my little son pops out, I've decided that this is it. 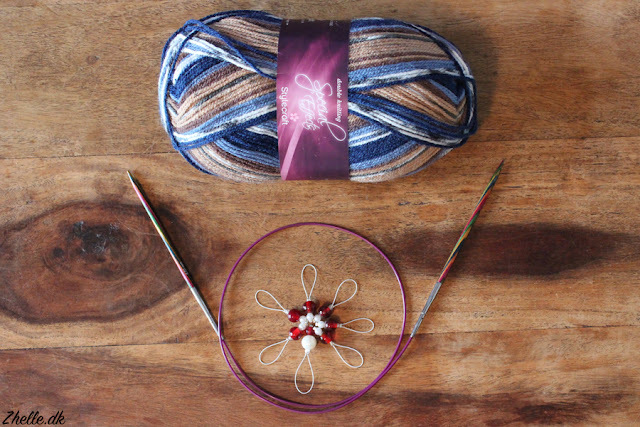 Now is the time to get the knitting going! I hope you'll share my journey back into knitting with me!